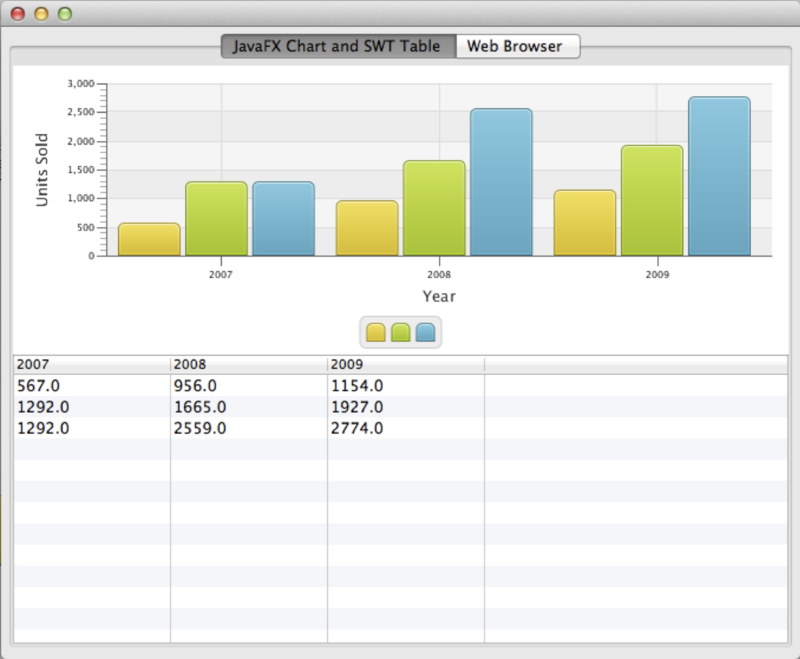 With JavaFX 2.0.2, we’ve included support for interop with SWT in the same way that we support interop with Swing. That is, you can embed JavaFX within your SWT applications! Although e(fx)clipse has been doing this for a little while by embedding FX -> Swing -> SWT, you can now skip the intermediate embedding into Swing and just go straight to SWT. Because FX and SWT share the same basic threading model, this is really easy to do. 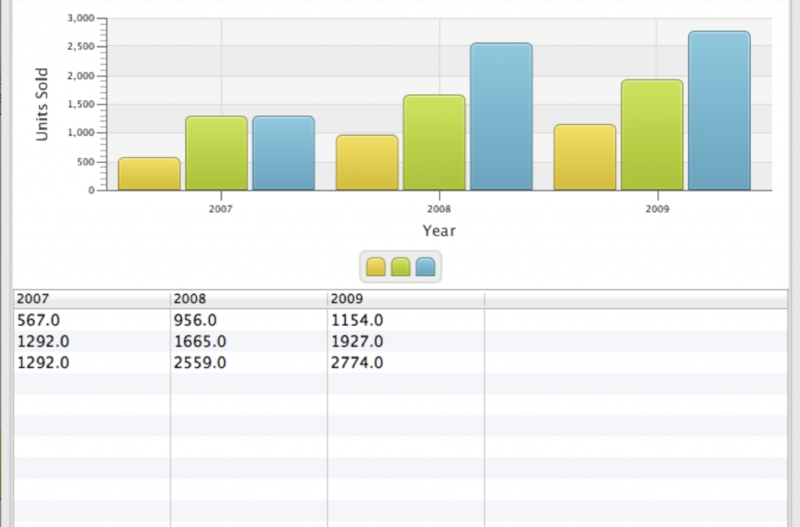 In this code sample, the Table is an SWT table, but the chart is a JavaFX Chart. I create the data model and place it in an ObservableList, and supply this to both the table and the chart. As you edit the table, it ends up also directly manipulating the chart data model, which causes it to animate to the new value.